With the huge range of marketing tools available, it can be a hard choice deciding which one is best for you. Often I see tools I’m using that make my job so much easier and I feel good knowing it’s made the list. Other times I see tools that I’ve used before that didn’t work well for me. It’s exciting when you come across a new marketing tool that adds value to your day. Small things (one might think), but anything that makes me more productive is a win. In BufferApps The $0 Marketing Stack: 41 Free Options to Popular Paid Services and Tools blog, Kevan lists 41 free and paid marketing tools that help marketers be awesome. You can find the entire list here. Out of the entire 41 who make the cut, here’s the marketing stack I cannot live without. Buffer – a godsend for all the social media management I look after. Canva – fab design tool I use for social media and blog posts. Google Analytics – insightful and valuable for clients. This tool shows you metrics on traffic to your website. Hotjar – tap into how users are using your website. Heat maps, click maps, scroll maps. HubSpot Sales (previously known as Sidekick) – such a handy tool if you’re dealing with a lot of emails. 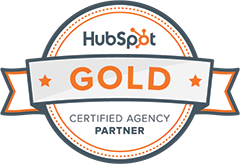 HubSpot Sales tracks your outgoing email and will tell you when the recipient has read your email. WordPress – I’ve been using this a lot for landing pages, but I suspect to use less of this and more of HubSpot in coming year. Google Trends – keeps you on top of what people online are searching for right now. Blog Topic Generator – a great tool to provide inspiration when you’re at a loss for content this week. Content Idea Generator – type in your keywords and a fun (often unusable!) headline appears. It’s a useful tool to get you thinking outside the box. the recipient is opening the email and clicking links (but I know they are currently holidaying in Hawaii). I won’t schedule a call with them until next week. This helps plan my call list for the following week and I can spend time on other prospects this week. the recipient is clicking one of the two links in my email repeatedly. When I schedule a follow-up email I will focus on talking about the topic showed they showed most interest in. who has actually opened the email, so I schedule a follow up email to everyone who didn’t open the first one with an “In case you missed it” subject line. There are so many other great tools on Kevan’s list, some I haven’t even heard of. It will be an exciting year discovering and testing new tools. Be sure to share any tools you find with me. This entry was posted in Marketing Manager, Digital Manager. Bookmark the permalink.